Kids will love finding their forever Scentsy Friend! 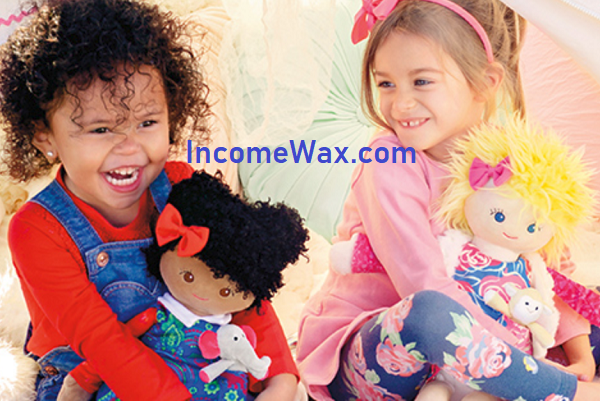 These darling dolls are the same size as our Scentsy Buddies, 16 inches tall, so they can share Buddy Clothes. Plus, each comes with an adorable mini Buddy (not sold separately) in their pocket. Favorite book: Horton Hears a Who! Carve out your own legend with brilliant “scales” that twinkle in oceanic greens — from seafoam to turquoise — while casting beautiful patterns across any surface. See it here. Uses a 25 watt light bulb (included) to warm the wax. Make Waves fragrance description: Make your own waves in a wash of Icelandic water tumbling with dewy greens and apple blossom. Get them both here on sale at www.IncomeWax.com during March. They will be available at regular retail after March, while supplies last. The Scentsy Spring Summer 2019 season brought two new rustic themed wickless candle warmers. Take a look. Once used to gather olives in countries along the Mediterranean Sea, this replica olive bucket warmer has a vintage metal finish. Faux, double-twisted barbed wire encircles an old-fashioned hurricane lamp with a wrought iron base — perfect after a long day working on the open range. Secure ordering today at www.IncomeWax.com for UPS delivery to your door. Dumbo now available — while supplies last. “D” is for Dumbo and downright darling. Classic and always unique, Dumbo reminds us that what makes you different makes you special. Welcome to the greatest scent on Earth! Each Dumbo – Scentsy Buddy comes with our exclusive Dumbo: Circus Parade Scent Pak — delight in sweet clementine, creamy peach, fresh mango and vanilla bean. For mere peanuts, you can also get the Dumbo bundle. This includes one Dumbo – Scentsy Buddy with a Dumbo: Circus Parade Scent Pak, and one Dumbo: Circus Parade Scentsy Bar. Dumbo: Circus Parade scent is eligible to add to Scentsy Club subscriptions as a Scentsy Bar. Get this fragrance shipped to you on a regular basis by taking advantage of Scentsy Club’s Always Get My Bar perk. * Otherwise, Dumbo: Circus Parade is only available while supplies last. Oftentimes the smallest ideas end up making a huge impact. Scentsy is proud to partner with Alex’s Lemonade Stand Foundation (ALSF) for our newest charitable cause product, theWhen Life Gives You Lemons Warmer, now available for $40. Now we want to help Alex’s dream grow, one warmer at a time.